Approximately 1,400 Twin Cities Marathon participants clocked negative splits between miles 21 and 22 to earn free Brooks Levitates. A sign announces the end of the Brooks Infinite Energy Mile at the 2017 Medtronic Twin Cities Marathon. Photo courtesy of Brooks Running. You know that really tricky part of a race, when your legs freeze up and your back is unusually stiff and something weird is going on with your ankle? For many marathoners, that moment comes between miles 21 and 22, arguably the most difficult stretch of the 26.2-mile journey. 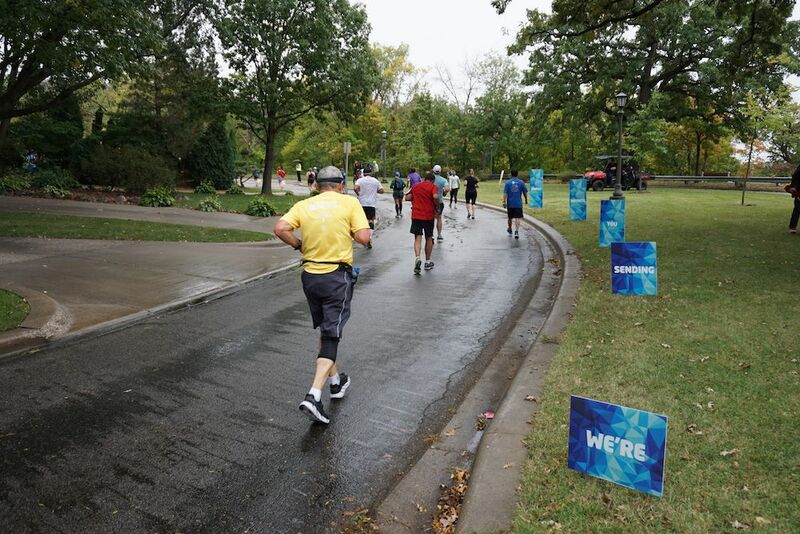 Even so, that’s exactly what 1,400 runners did at the 36th annual Medtronic Twin Cities Marathon on October 1. Challenged by Brooks Running to increase their speed during this tough mile, runners who did so were able to claim a free pair of the new Brooks Levitate after crossing the finish line. 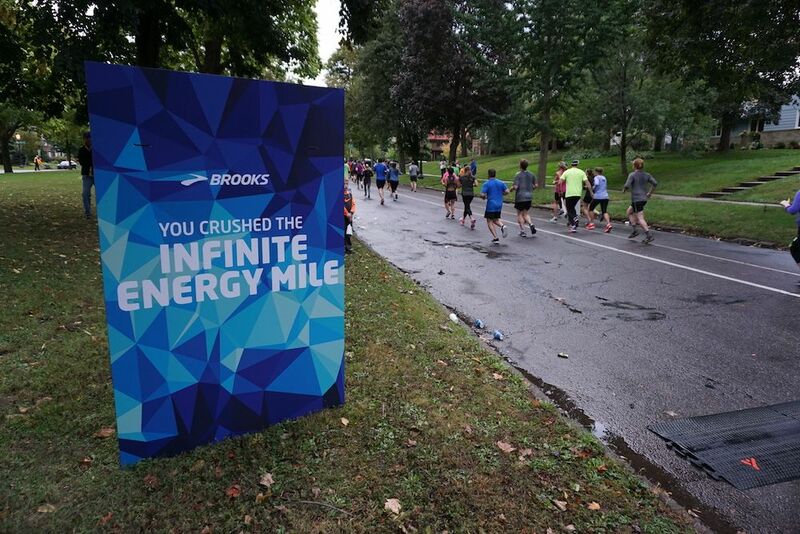 The mile in question was dubbed the Brooks Infinite Energy Mile and featured a sizable cheering station, along with signs and music, to encourage runners to quicken their pace. 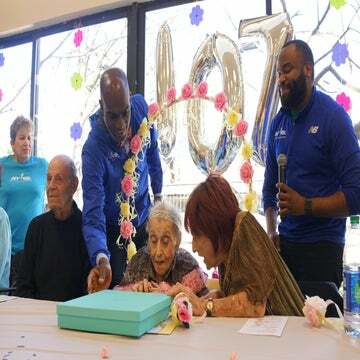 By race’s end, the 1,400 runners that succeeded represented approximately 18.6 percent of the marathon finishers. You know us runners: we’ll do just about anything for a free pair of running shoes. Even so, there’s nothing like seeing spectators root for your success with every step you take. 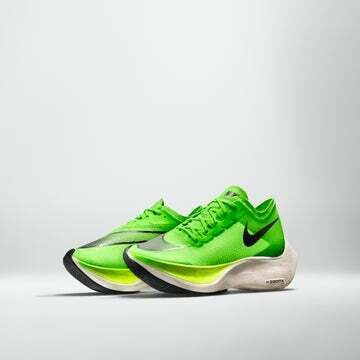 That encouragement, combined with the tantalizing prospect of free shoes, is enough to get any runner to clock a negative split. 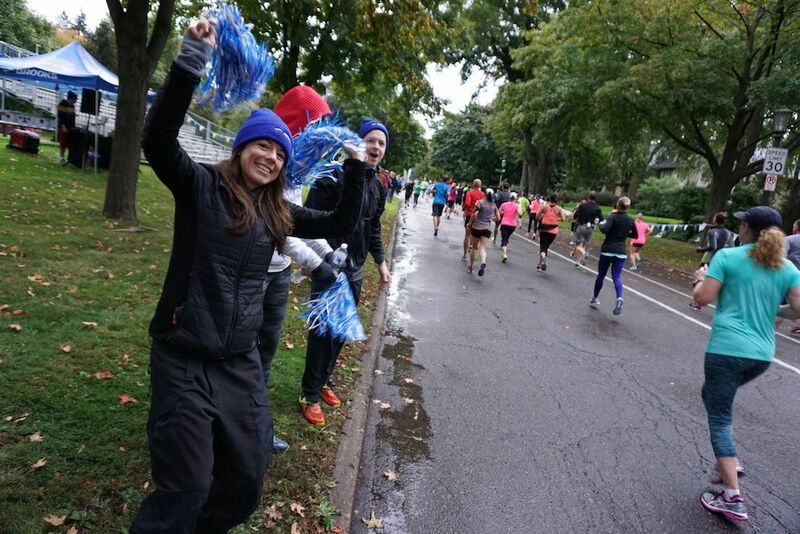 The “Most Energized Cheering Station” along the Brooks Infinite Energy Mile at the 2017 Medtronic Twin Cities Marathon. Photo courtesy of Brooks Running.